Member-to-member help has always been an important part of SEJ's mission to improve environmental journalism, and that's what our mentoring program is all about. We pair veteran environmental reporters with newcomers to the beat, or with less experienced reporters who want to improve their skills. We also accept applications from university-level students who have demonstrated an interest in environmental journalism, although our program is primarily designed to benefit "mentees" who are already working as professionals. The program is flexible and member-driven. If our program coordinators are able to make a suitable match for you, all we ask is that you participate for at least a year and communicate with your mentoring partner at least four times. We also require that all participants, including students, be members of SEJ. (If you're not a member, join us.) 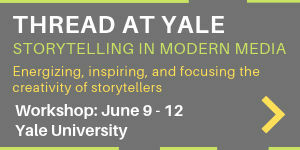 Mentors typically critique stories and offer advice to their mentees via email, telephone or in person. They also get together at special mentoring events at SEJ's annual conference. It's easy to sign up for the mentoring program. Fill out either a mentor or mentee application. Please read the application carefully and answer the questions fully to help us make a suitable match. We'll pair you up as soon as possible with someone whose interests and experience fit with your own. Questions? We'll gladly answer them. Just send us an e-mail. 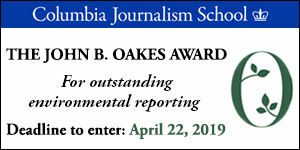 Thanks for helping to build the future of environmental reporting! 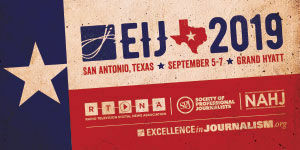 SEJ seeks support for new programs, to expand opportunities for learning and partnerships among pairs and teams of journalists. Past support: From 2016-2018, the Gordon and Betty Moore Foundation underwrote SEJ's Parallel Partners program, an offshoot of our member-led mentoring program. The program covered some story project costs for three pairs of journalists, one based in North America and one based in another part of the world. The coordinators for SEJ's mentoring program are Jane Braxton Little and Dawn Stover. Jane has written about California condors, wildland fire, deep sea exploration and other natural resource issues for over 40 national publications that include Audubon, Popular Mechanics, Wilderness, Nature Conservancy and Yes! She lives on 35 acres of forestland in the Feather River country of California's northern Sierra Nevada. Dawn is a freelance magazine writer and editor whose main focus is science journalism. She lives and works in a log cabin on 20 acres outside White Salmon, Washington. She is a contributing editor at the Bulletin of the Atomic Scientists and Popular Science magazine.